You’ve heard people say that the Greater Boston real estate market is as hot as ever—but what does that even really mean? Well, now we know. It means for the first time in the state’s history, you’ll have to shell out $400,000 to afford an average single family home. Prices have skyrocketed amid a housing shortage. Fewer than 14,000 single family homes traded hands in June, traditionally one of the busiest months for real estate. That represents the least transaction volume for the month of June since at least 2004, reports the Massachusetts Association of Realtors, and a 31.4% decline from inventory available in June of last year. The median single family sold for $410,000 in June, nearly an 8% spike from the year prior. Condo prices rose 3% year-over-year, to a median of $361,500 in June. Single family homes are even more expensive in the Greater Boston area. Single family homes reached a median sales price of $615,000, according to the Greater Boston Association of Realtors. These record sales prices don’t bode well for first-time homebuyers. It also can freeze homeowners in place. Those who would otherwise be interested in selling decide not to, simply because there’s nowhere else reasonably affordable to go. This creates a snowball effect where even less housing comes on the market, which pushes prices even higher. Steep competition means housing isn’t sitting on the market for very long. The average single family home that sold in June only spent 55 days on market, down from 80 last year. Condos averaged just 45 days on market, down from 64 in June 2016. Despite record prices, homes are selling in record time. 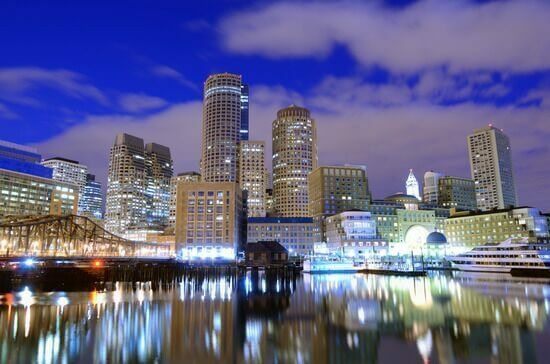 Although this data have been widely reported by media over the past few months, there’s been less discussion on how sky-high home prices will (and already are) affecting the state’s rental market, particularly in the Greater Boston apartment market. Most banks want to see people put down at least 20% — or at least, that’s what they’ll require for borrowers to get the best loan terms (and it should be noted that interest rates, though they’ve risen, are still hovering around historic lows). Sure, buyers can put down as little as 3% through various mortgage programs (even 0% with a V.A. loan!) but then they’ll most likely have to pay private mortgage insurance (PMI) which can tack hundreds of dollars each month on to a mortgage payment. Saving 20% toward a $200,000 home seems reasonable. Now try saving $80,000 for an average priced $400,000. Suddenly, homeownership seems much farther away. And as a result, young adults are likely to spend more time renting while they save for that down payment. There’s no doubt—some people are concerned that we’re at the height of this real estate cycle. How long the good times will last is anyone’s guess. Some prospective buyers will decide to pump the breaks on homeownership for fears that we’re in the midst of a housing bubble. If the bubble bursts and housing prices begin a downward spiral, people who buy now could quickly lose equity in their homes. As a result, we suspect several people will avoid the bidding wars and hold off on buying entirely for now. They’ll opt to rent instead. On one hand, housing prices have soared in the Greater Boston area. On the other, employers continue to move downtown. So what’s an employee to do? Shell out big bucks for an apartment they can’t afford, or move farther away to an area where housing is more affordable but that requires a lengthy commute? Some people will choose the former; others will undoubtedly choose the latter. As a result, we’re seeing increased demand for transit-oriented housing located near MBTA and commuter rail stations in places like Dedham, Norwood and Melrose. Real estate prices in these areas continue to grow as well, but these homes could have more room to run in terms of rental growth and/or appreciation. There is also a huge growing appetite for housing that is close to the city that is quickly becoming gentrified. Places like Fort Hill, Dudley Square and Dorchester are experiencing dramatic growth in new rental housing opportunities and development. Don’t expect people to stop grumbling about high home prices any time soon. Whether you’re a prospective homebuyer or someone shopping for their next apartment, the sticker shock is real. High home prices don’t just affect homebuyers. As real estate becomes more valuable, landlords are able to command higher rents—and that’s exactly what they’ve been doing. Unless there’s an influx of new housing or the broader economy starts to shrink, we suspect these trends will continue for the foreseeable future.